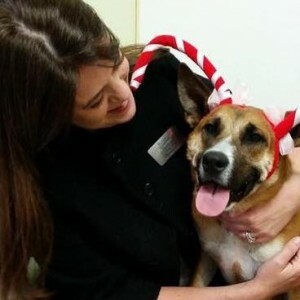 This week, #AskJenLive took a trip to the Norfolk SPCA to feature adoptable pups, the adoption process and 5 reasons to #AdoptNotShop this holiday season. Today I am here at the Norfolk SPCA No-Kill Adoption Center & Veterinary Clinics to share some of the reasons to adopt, not shop for a pet this holiday season. PLUS I’ll introduce you to some great adoptable pups and how you can make them the newest addition to your family! Reason #1 to ‪#‎AdoptNotShop‬: 2.7 million homeless animals are euthanized each year in the US. By adopting an animal you are helping lower that number while also getting a new best friend and companion! Meet Stan the man (left)! He is an 8-year-old Shepard mix and is so handsome. He’s the kind of guy that wants to snuggle on the couch. Also pictured below (right) is Brutus, he’s a 9-year-old pup looking for a cozy bed this holiday season. Reason #2 to ‪#‎AdoptNotShop‬: At many adoption clinics, spay/neuter, vaccinations and sometimes micro-chipping fees are included in adoption costs. This is not only a great “deal,” but also proof that shelters are in this to help find fur-ever homes, not to make money (which is often the case with some breeders)! Reason #3 to ‪#‎AdoptNotShop‬: Many of the animals at shelters are obedience and house-trained which will save you time and money–all while keeping your home in tact! PLUS, a lot of the pups at Norfolk SPCA are trained to do some neat tricks! Remember Babette from #AskJenLive at Augusta at Centerville Commons! 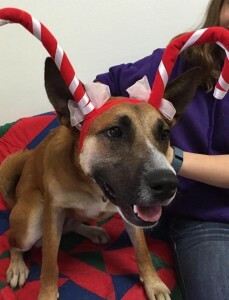 She is still available and would love to join you under your tree! Reason #4 to ‪#‎AdoptNotShop‬: Contrary to popular belief, many pets are re-homed to the shelter with a lot of knowledge of their background. Adopting these animals help you make sure you’re getting a great addition to your family! It’s a reindeer! No, it’s Edna, our sweet 2-year-old Australian Cattle Dog mix. She loves her Kermit the Frog toy and is very affectionate! Reason #5 to #AdoptNotShop: When you adopt, rather than shop, you’re doing much more than buying a pet. You’re helping an animal in need and changing its life! We can’t forget our kitties! Pictured below is Natalie, she’s a 14-year-young tortie who loves to sleep in her cardboard box. 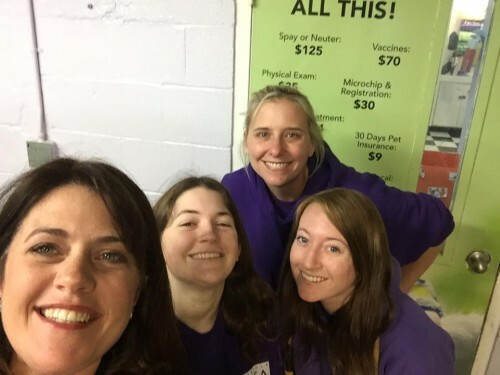 I love the staff here at the Norfolk SPCA, they care so much for the animals here and it really shows, thank you guys for all that you do! Thank you to all that joined me for ‪#‎AskJenLive‬! If you have any questions on available pups or the adoption process, feel free to contact me at 757-774-6999.